There are a wide array of orthodontic procedures available to assist you in having your teeth straightened. The most popular of these is the traditional brace procedure. However, the treatment known as Invisalign is becoming increasingly popular due to the many conveniences and benefits found with it. Understanding the differences between these two appliances will allow you to make an informed purchase decision when it’s time to straighten the teeth of you or your child. There is a myriad of differences between these two orthodontic appliances. The primary reason for these differences is that braces are permanent for the duration of the teeth straightening process, while the Invisalign appliance can actually be removed at certain times of the day. 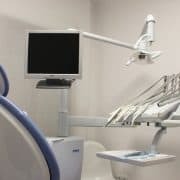 Both of these appliances treat the same types of orthodontic issues, including everything from spacing and crossbite to underbite and overbite. They will also both straighten the teeth of your child. However, this is basically where the similarities end. The more modern procedure is named as such because the brackets are clear and hardly visible. They appear entirely different compared to the solid metal brackets when wearing braces. Because you or your child is able to remove these clear brackets at certain portions of the day, brushing and flossing are much more convenient. It’s also easier to clean your teeth when brackets aren’t in the way. While you can remove the device whenever you want, it still shouldn’t be taken out for more than an hour or two each day. When you do take them out, you’ll be able to enjoy eating without the presence of distracting aligners. As opposed to standard metal braces, you’re able to eat whatever food you wish to. 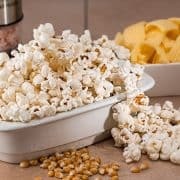 When wearing metal brackets, sticky foods and other snacks like popcorn and pretzels should typically be excised from your diet or at the very least dramatically reduced. The reason for this is that these foods can cause undue wear and tear on the metal brackets. This isn’t the case when wearing the clear aligners. You’ll be able to have a more confident smile when you know that your smile appears natural. Wearing these aligners as opposed to metal brackets will boost both your confidence and self-esteem. Being happy with the teeth straightening solution you’ve chosen will also keep you healthier. One of the most notable benefits of wearing clear aligners instead of metal brackets is an overall comfort. This can be found in a couple of instances throughout the teeth straightening process. First, metal brackets need to be straightened every now and then while aligners are simply replaced every two weeks. While there’s a very small amount of discomfort with both of these appliances with each alteration, it’s even less with aligners. This increase in comfort is also found with the basic composition of each appliance. With metal brackets, you’re wearing relatively sharp metal that can poke at your cheeks and gums and cause general irritation. The clear aligners are comprised of smooth and very comfortable plastic that’s not likely to cause any discomfort. Another difference that you might find appealing is the fact that you won’t need to visit an orthodontist as often when wearing plastic aligners. 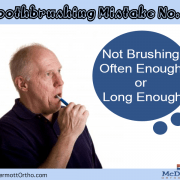 Office visits for this type of procedure are only necessary every four to six weeks, while they are required more often when wearing metal brackets. The ease at which you can brush your teeth by being able to remove the aligners reduces the chance of suffering from mouth sores caused by brace wires or tooth decay from not being able to adequately clean the entirety of each tooth. There are additional benefits of wearing these invisible aligners that you should be aware of when considering them. 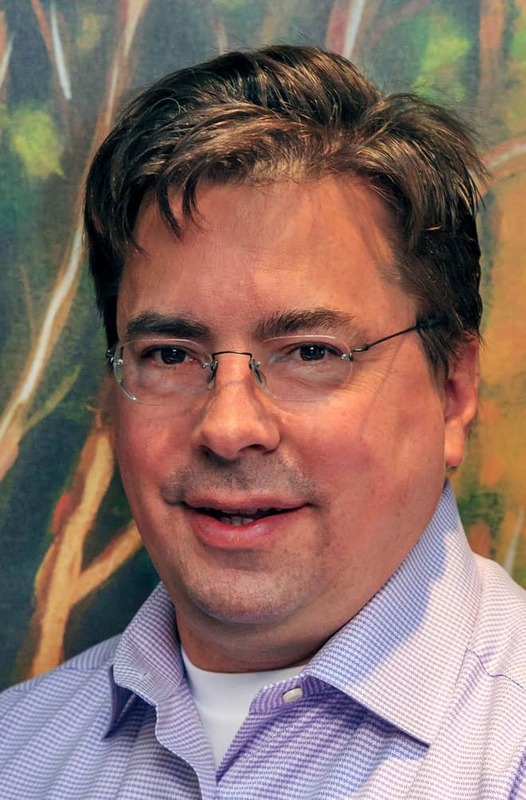 For instance, the duration of treatment is notably shorter than basically all alternatives. 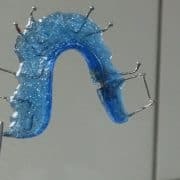 While this can depend on how much your teeth need to be straightened, most people only need to wear this teeth straightening solution for a year to a year and a half. Most other alternatives take anywhere from 3-5 years. You’ll also be happy to know that Invisalign is fully computerized for additional convenience. Before even having the aligners placed into your mouth for the first time, you’ll be provided with the exact timetable of how long you’ll need to wear them before your teeth have been fully straightened. You’ll also be provided with detailed information about what to expect during each phase of the process, which isn’t quite available with other alternatives. Whether you’re considering the usage of the clear aligners as opposed to the metal brackets for comfort reasons or because you wish to have a more beautiful smile, the benefits of the former are many. If you’re interested in having your teeth straightened, contact McDermott Orthodontics today to schedule your initial consultation with an orthodontist. https://www.mcdermottortho.com/wp-content/uploads/2016/12/girl-856853_960_720.jpg 640 960 Mike McDermott https://www.mcdermottortho.com/wp-content/uploads/2015/10/Logo-McDermott-Orthodontics.png Mike McDermott2016-12-20 10:00:002017-06-27 23:13:19How Is Invisalign Different from Traditional Braces?